"You have to create a culture that celebrates the potential impact you can have on prospective clients," said Joe Jordan. You have to work for a cause, not for profits. You have to care more about helping others than the amount of assets under management you have. You have to not let fear rule your practice. I sat there with tears in my eyes as Joseph Jordan, an inspirational speaker and behavioral finance expert, walked off the stage following his emotional, motivating and surprisingly personal keynote address at the 2015 Advisor Network Summit happening now in Las Vegas. Jordan is not your typical man, nor does he give the typical financial services conference speech. He himself admitted to the latter, claiming that his speech would “not be a pep talk,” as he told the audience. But what transpired was one of the best pep talks I’ve ever been a part of. Jordan says that those within the financial services industry (companies and employees) should focus more on a culture that deals with value versus one that deals with prices. He reminded everyone of the sometimes-negative reputation of the insurance and financial services industry and that, though we’re not in control of much in our business and personal lives, one thing we can control is our behavior, which can translate into how we (as an industry) are perceived. But we have to believe we are helping our clients and making their future better. As Jordan says, we must understand that our beliefs drive our behavior. And you need to get motivated and stay motivated. As he told the audience, if the only reason you are in business is to make money, you’re not going to go very far. If you have a cause and a desire to make things better, you will succeed. “The best way to maximize profits over the long term is not to make them the primary goal of the business; great companies have great purposes,” Jordan noted, making reference to “Be the Solution,” a book by Michael Strong. Jordan readily admits he’s is a spiritual businessperson and believes there is — wait for it — a spiritual side to this business. But he also believes in knowing your worth and not giving it away for free, especially to those who don’t deserve it. He claims there are three types of people in this business: people who take your advice, people who don’t take your advice, and people who have never heard your advice. “Keep the first set of people, lose the second set, and get in front of the third,” he instructed. 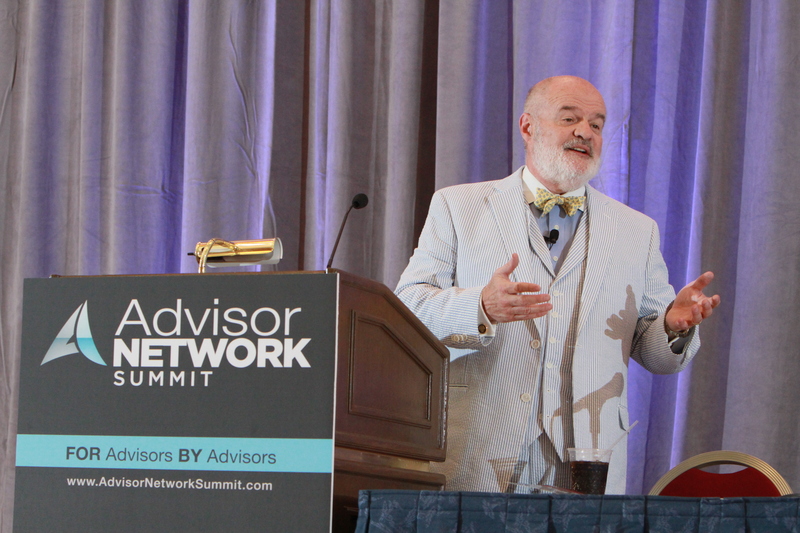 Read more of LifeHealthPro’s coverage of the 2015 Advisor Network Summit here.